Drop whatever plans you might have for Thursday, July 9, 2015 at 9:3o0PM Eastern and tune into Craft Beer Nation Pints and Quarts Ep. 051 for a live interview with Stewart Bowman, Head Brewer of Brew Dog, all the way from Scotland. We’re super excited to be able to talk to Stewart. Between the upcoming Brew Dog expansion into the US and what it’s like to work with James Watt and Martin Dickie there’s sure to be plenty to discuss. 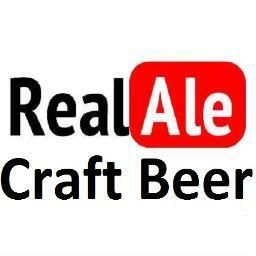 Also joining in as a special guest will be our friend, and prolific craft beer reviewer, Simon Martin, Real Ale Craft Beer, all the way from Cardiff. Simon reviews multiple beers a day and uploads them to his YouTube channel . You can also find him on Periscope where you get the behind the scenes live look at his review process. Simon is a man who loves craft beer and that really shines through in his reviews. They are always entertaining and sometimes epic. It’s an international edition of PnQ. And since it will be 2:30AM over there we greatly appreciate them both going out of their way to join us on our show. Filed Under Pints and Quarts, Podcast, YouTube. Bookmark the permalink.